Time and again we are blown away by the incredible results we see of homes having undergone reparations. 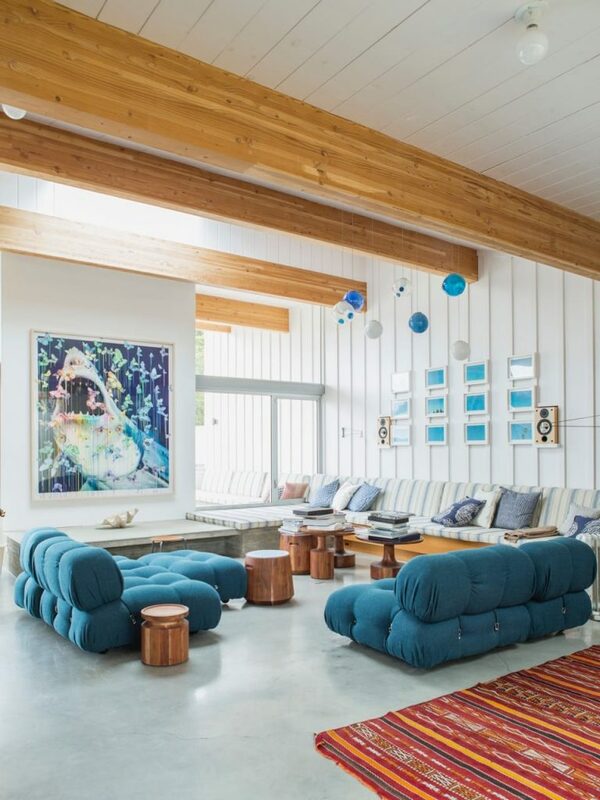 Case in point: The Malibu House. 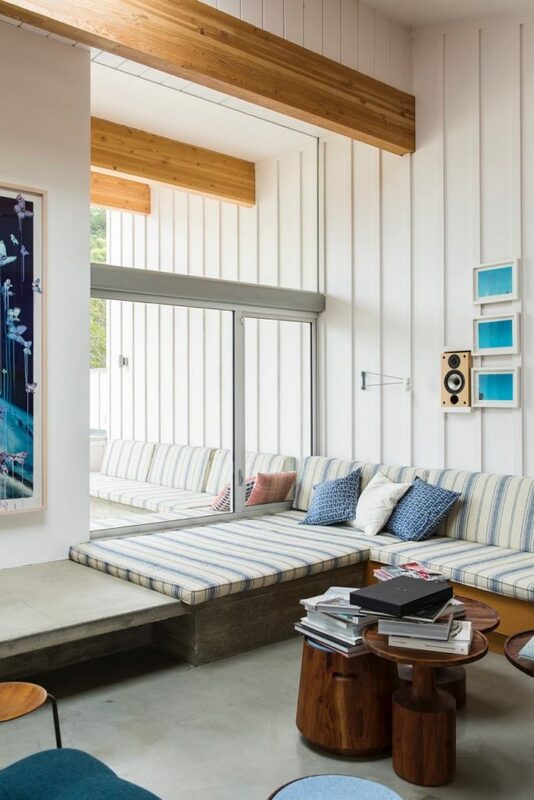 Residing on a Point Dume peninsula over a flat property with a good deal of space, The Malibu House was an undertaking and collaboration between architect Barbara Bestor (Bestor Architecture) and musician Mike D to rehabilitate existing structures that were crumbling down. The rundown buildings consisted of a three bedroom house, loosely connected to cottages meant for guests. The New York rapper, also known as Michael Louis Diamond and the co-founder of Brooklyn’s hip-hop group Beastie Boys, came across the buildings after falling in love with a secluded beach nearby. 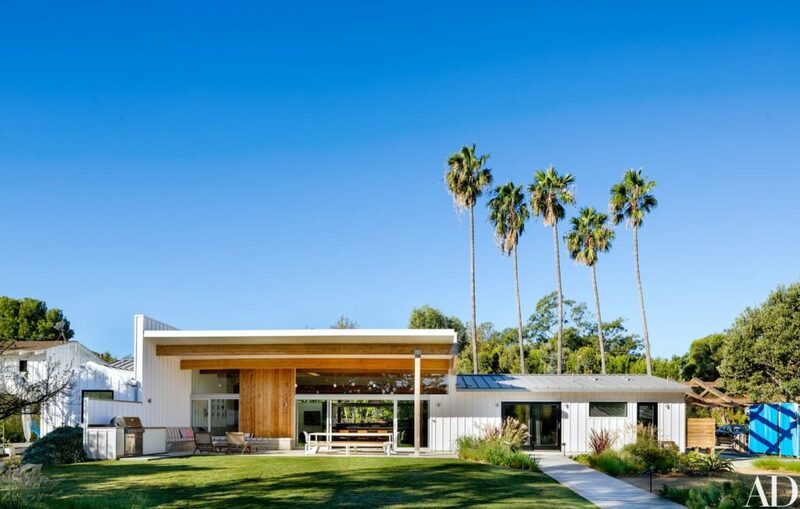 Mike D got in touch with long-time friend and architect Barbara Bestor to collaborate on the renovation project. 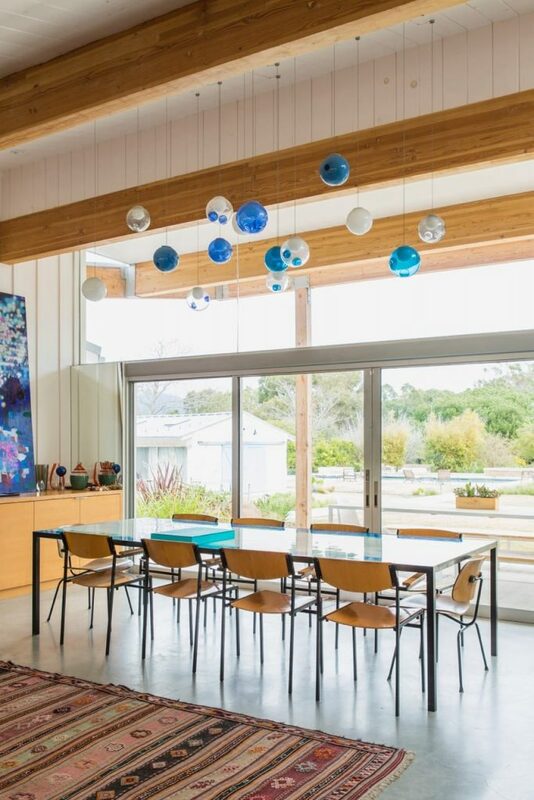 The plan was that Barbara to take on the architecture while Mike D oversaw the interiors, working closely together with the Bestor Architecture team. The project was put into motion with the aim to brush up the condition of the buildings and turn the ramshackles into a beach-style vacation home for his family, including his wife and two children. Inside, the middle part of the house was elevated and spaces were redesigned to create a larger new room that would connect to the terrace and backyard. Another major revision was to swap the standard gabled roof for a butterfly shape. 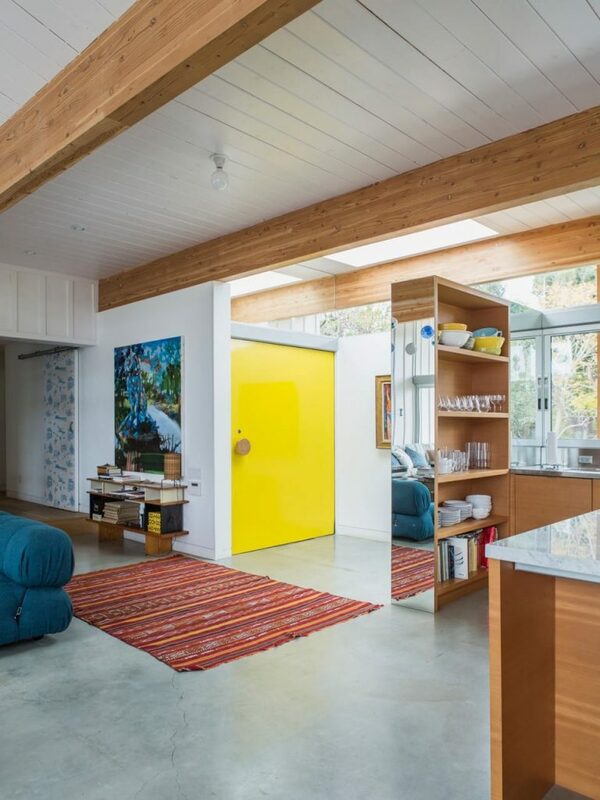 Concrete floors and white walls retain a mellow atmosphere, while gushes of color bring in vibrancy and a sense of freshness to the home; a bright yellow front door stands out inside the open-plan living space and a blue couch matched with decorative elements of the same color give a breezy ocean feel to the contemporary home design. 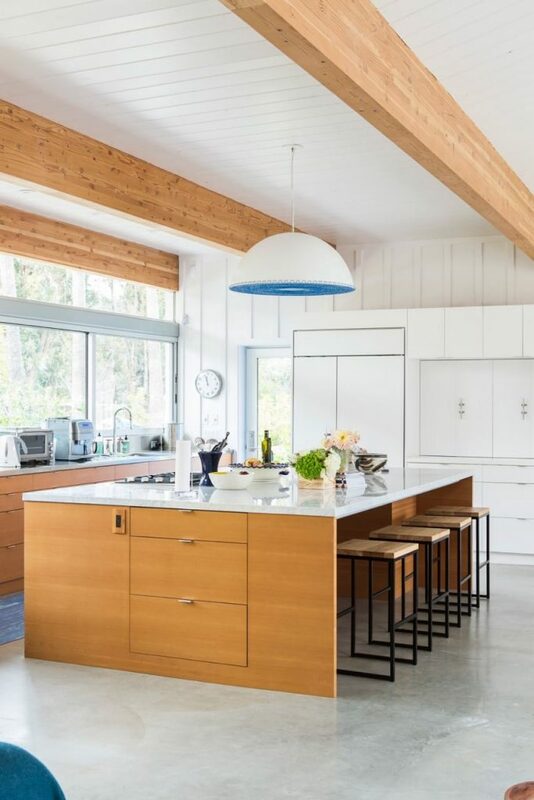 Blue is found in other parts throughout the home; large wooden sliding doors at the side of the home have been painted a light shade of blue. 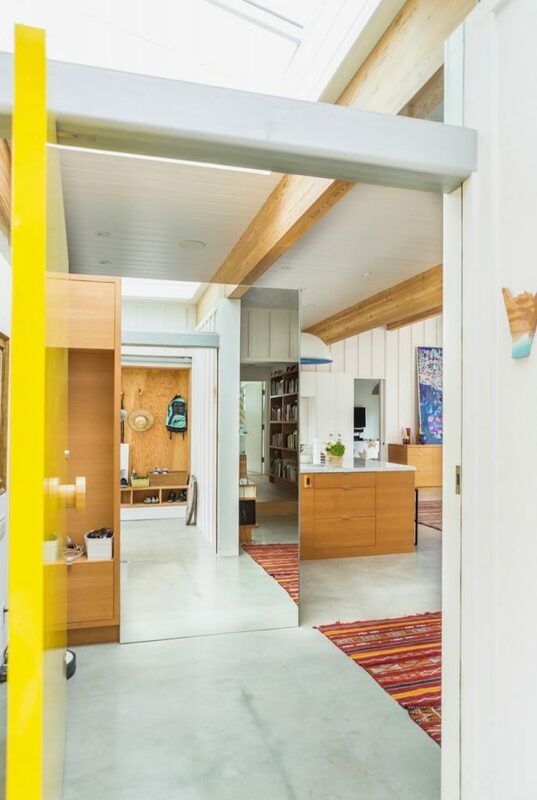 These doors, along with skylights and an abundance of large windows throughout the residence welcome generous amounts of light and blur the line between indoors and out. 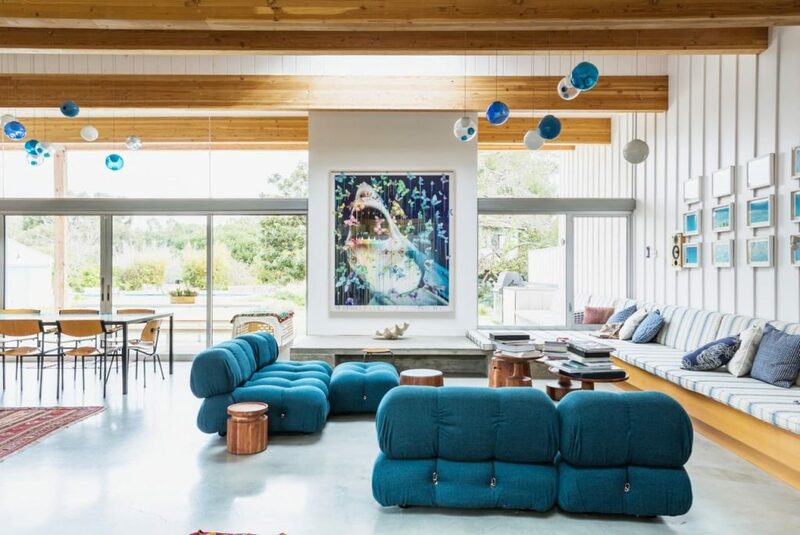 The blurring of indoor and out living concept is reinforced by mimicking the home’s exterior inside and using the same upholstery fabrics both inside and outside. 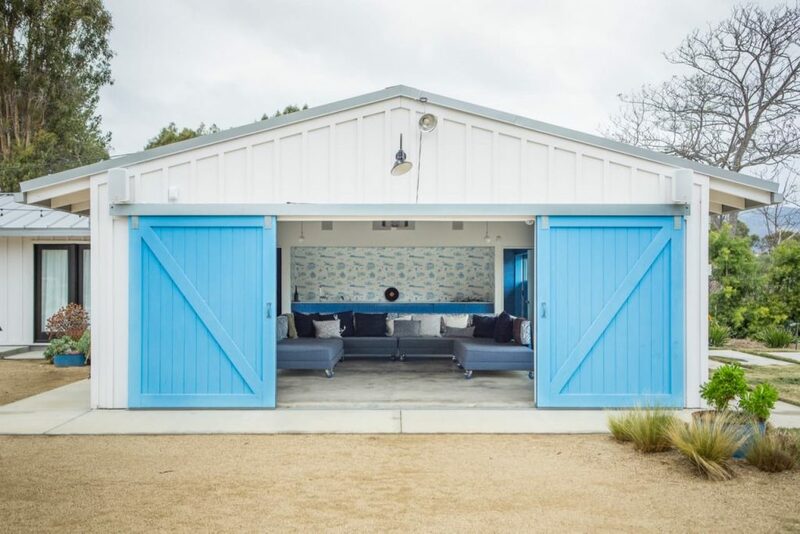 Surrounded by fresh ocean air, rocky coves and hiking trails, the Malibu House is a California dream; away from the bustle of the city and surrounded by beautiful views within close proximity to the beach.